Terra Plana is a company with eco-cred up to its armpits. Working on the barefoot principle of supporting and strengthening the feet via a super-thin recycled sole, it’s a company which strives to do the best it can for our people and our planet. To quote the Terra Plana site, “There are recycled elements in every Terra Plana shoe whether it be the sole, upper or the trim. 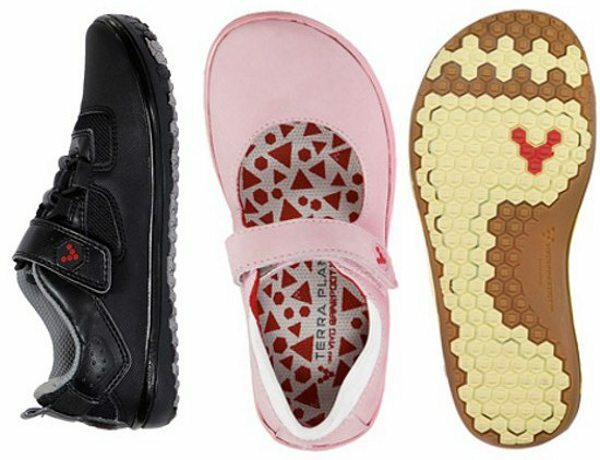 Recycled PET bottles for mesh, recycled rice husks for soling materials, recycled leather and recycled foam for footbeds.” Pretty inspiring stuff and it’s sold me enough to traipse down to the Sydney store in Newtown to ensure my sons are shod in these eco-marvels. Most of the shoes are vegan too, meaning no animal products are used in any part of the process or construction. I love the Pally shoes for girls, just because I can never resist Mary-Janes, and it’ll be the Aquarius in black for my boys. Take consumer ethics to the next level with these easily accessible, super-comfy and eco-friendly shoes. There are plenty of designs to choose from for mum and dad too, including some quite astonishing heels! There are two Terra Plana stores in Sydney – Newtown and Crows Nest – and an online shop to order from. The kids’ sizes aren’t up yet but drop them an email once you’ve viewed them on the international site.